Restaurants, breweries, pools, convenience stores and greenhouses need better CO2 systems. Low pressure CO2 vessels for CO2 storage and dispensing need venting that results in product loss, and is harmful to the environment. High pressure systems need expensive and fragile regulators, and require purging that can lead to flat drinks and wasted CO2, syrup, cups, lids and straws. The patented Green CO2™ system consists of two (2) key pieces of equipment that eliminate the need for CO2 venting and reduces CO2 usage. The Diverter Valve creates a sealed bulk CO2 storage system. The Diverter Valve enables on-site filling of the system through an outside fill box. 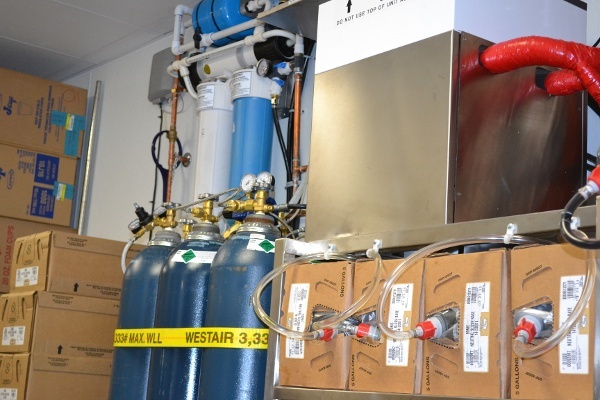 The Safe-T-Flo Monitor measures and regulates the conditions that determine interrupting CO2 flow to the beverage carbonation system of a beverage venue. For high usage applications (e.g., swimming pools and greenhouses), the Green-trol Flow Control unit would be used in place of the Safe-T-Flo Monitor. For customers that need food-grade nitrogen, the Nitro Blend N2 Generator uses gas membrane technology to produce high purity nitrogen and then blend the nitrogen with CO2 to supply any pre-determined gas mix. With the Diverter Valve, you no longer have to vent-off CO2 pressure or deal with leakage. 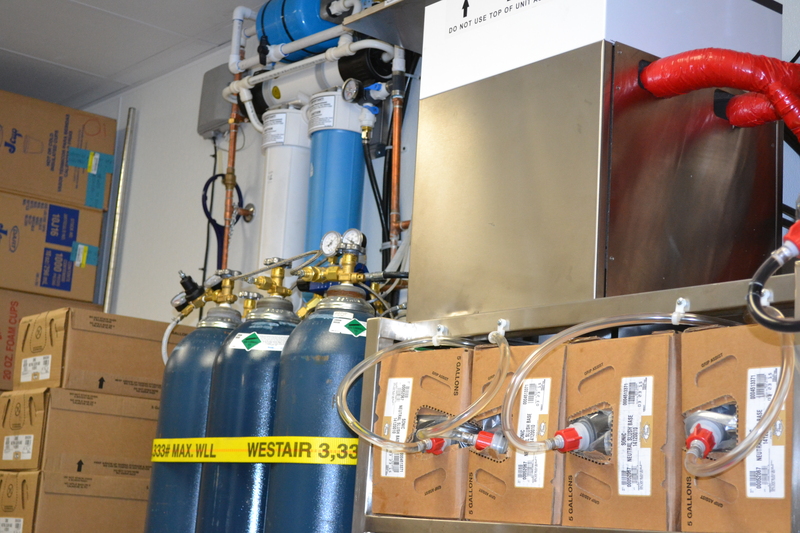 Some customers have seen up to 30% reductions in CO2 usage using the Diverter Valve and Green CO2 system. No more changing tanks in the middle of a rush. No leaky connections from missing gaskets. 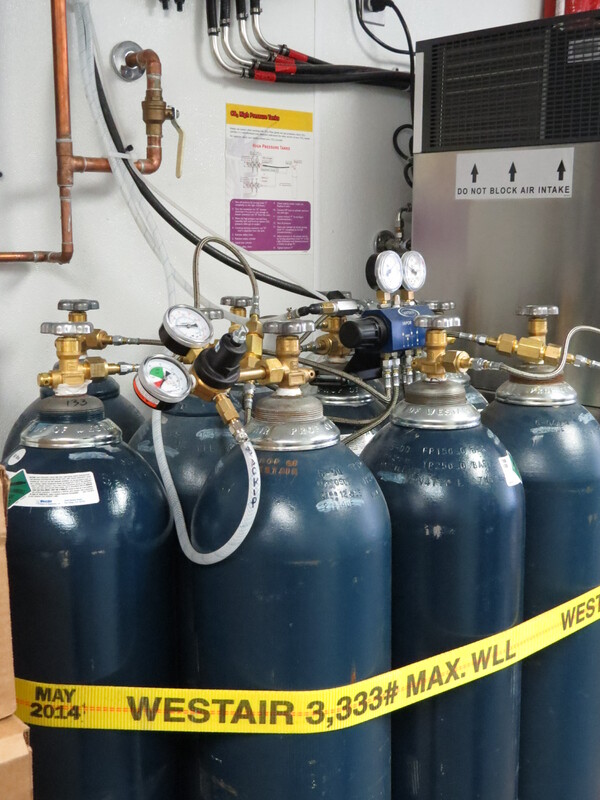 No more weekend calls for CO2 because your cylinders are empty. 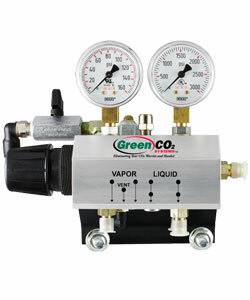 When you use the Green CO2 system, there are no dry ice concerns and no oil build up. And there is no CO2 venting. You reduce your carbon footprint while saving money. 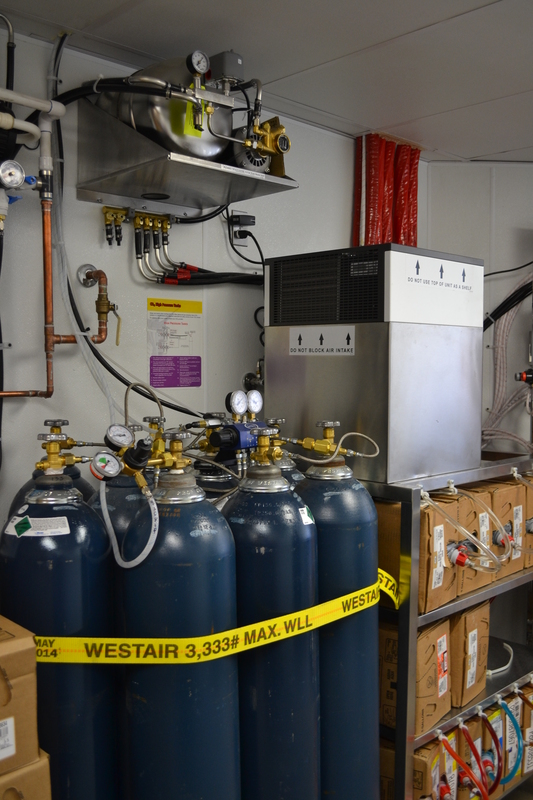 If you need a better way to supply CO2 and nitrogen for you beverage services, contact WestAir today at (866) 937-8247.